Dr. Belotte specializes in treating patients with different pain disorders including: joints pain, back pain, neck pain , cancer pain and other severe pain disorders. 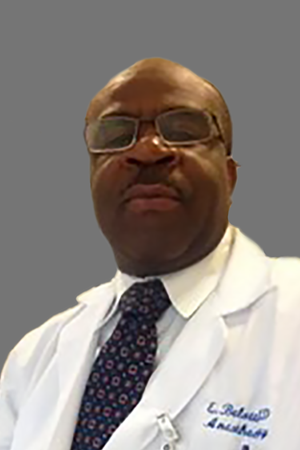 He is Board Certified by the American Board of Anesthesiology in the areas of Anesthesiology and Pain Medicine. Dr. Belotte uses the most advanced techniques available to relieve joints pain and spinal pain such as that caused by fractures, arthritis, degenerative discs, and spinal stenosis. He also treats patients with severe chronic pain due to nerve damage, traumatic injuries, Complex Regional Pain Syndrome (CRPS), musculoskeletal pain and cancer pain. His practice reflects his strong expertise, knowledge and experience performing interventional pain procedures for chronic pain syndromes. Dr Belotte completed his residency training in Anesthesia at NYU Medical Center. He then pursued an Interventional Pain Management fellowship at Mount Sinai Medical Center in New York where he owned his skills in the multidisciplinary approach to pain management. Dr. Edouard Belotte comes highly recommended by his peers and associates for his technical skills in interventional procedures, as well as his outstanding work ethic, clinical judgment and gentle nature with patients.